As the new year begins, so do our diets. But this year, consider it more of a lifestyle change, and you’ll be well on your way to forming a new healthy eating habit. These gorgeous salads will pave the way for you. Making a gourmet, chef-inspired salad at home is easy if you follow a few simple guidelines and take notes from the salads we’ve discovered on the internet. Keep it simple. Sure Cobb salads are packed with everything you love, but sometimes less is more. Pick a few key ingredients and showcase them. Be sure to have a balance of flavors. You’ll want sweet, acidic and savory in each bite (depending on the salad). Pair different textures. Combine a soft butter lettuce with a crunchy pistachio brittle. A hardy green like kale with a soft, runny egg on top. Textures are what make your salads interesting. Eat the rainbow. 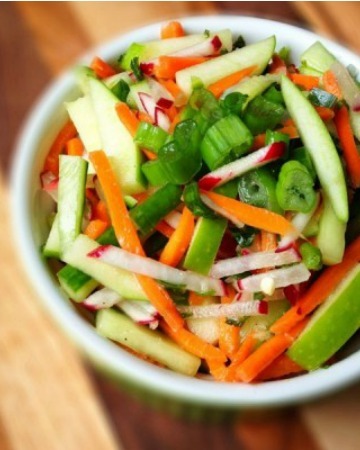 A good variety of greens, root vegetables, and colorful vinaigrettes make a salad reach restaurant stature. 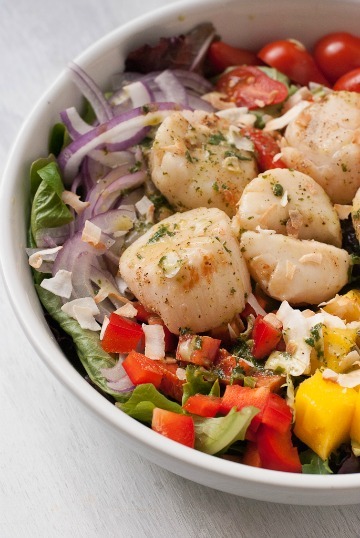 This recipe, by blogger Shanna Shad of Pineapple & Coconut, combines great textures from the scallops and mangos, topped off with a crunch from the coconut. The pop of color is also attractive. Salads don’t just have to feature greens. We love this salad with pasta as the base and a light dressing to balance it. This slaw is dressed in a honey lime jalapeño vinaigrette that really brings out the flavor in this salad. Blogger Liz over at The Lemon Bowl also shares some health benefits of radishes. The addition of walnuts and bacon gives this salad not only texture, but nutty and savory notes in an otherwise hardy salad. Cabbage salads are not just for the summer months. This flavorful salad by Karen’s Kitchen Stories packs a punch with added peanuts for texture and an Asian twist to the classic slaw. We loved the chipotle ranch dressing Carolyn, blogger at All Day I Dream About Food, pairs perfectly with this salad. 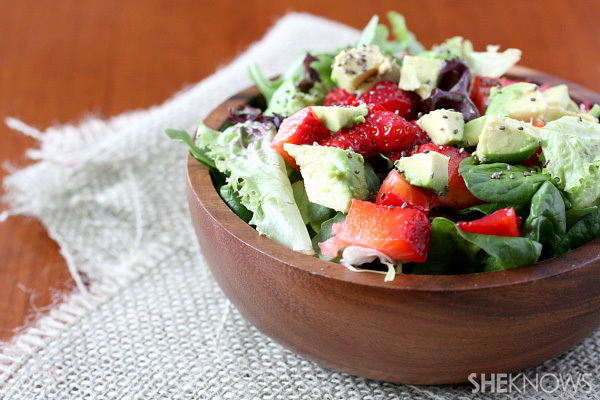 Pairing winter berries with creamy avocado makes for a great seasonal salad. We love using whole grains as a base for a recipe, and quinoa is our favorite grain to cook up for salads. 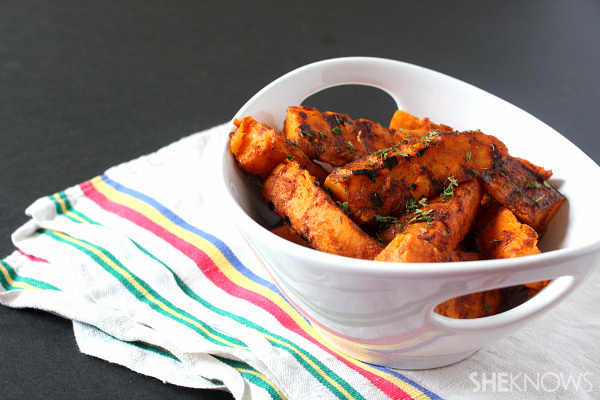 Classic winter root vegetables, these sweet potatoes are cooked on the grill and packed with flavor. Not only is broccoli a great base for salads, but it’s very filling and tasty.